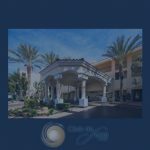 Welcome to the new Club de Soleil blog, your place for information on the latest happenings at your favorite vacation-ownership resort. You can expect fresh content on a regular basis, or whenever we have breaking news to share. Our aim is to provide information you can use to plan your next visit, from monthly room availability to scheduled resort activities. We invite you to stop by as often as you like, or whenever you want to remind yourself why you chose Club de Soleil as the resort you return to again and again.